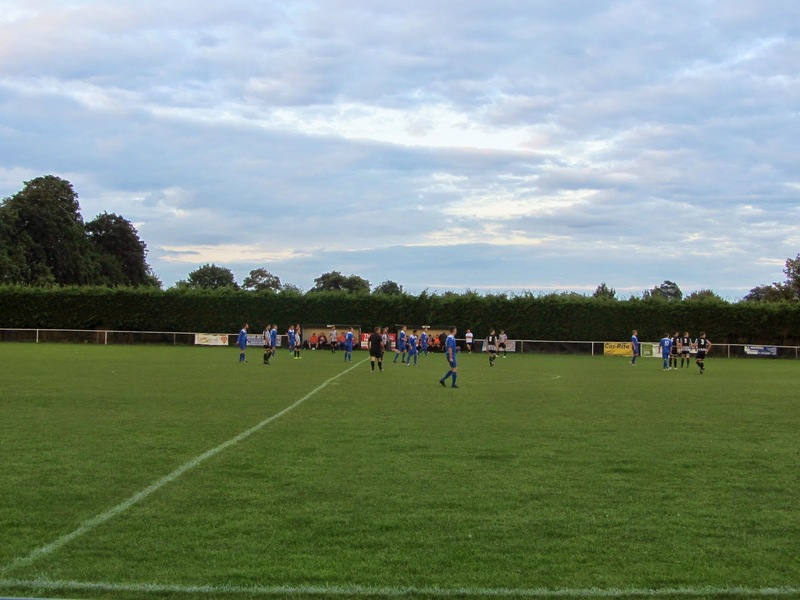 My seventeenth stadium of 2014 was on Wednesday 20th August at Stoneylands in Long Melford, Suffolk. 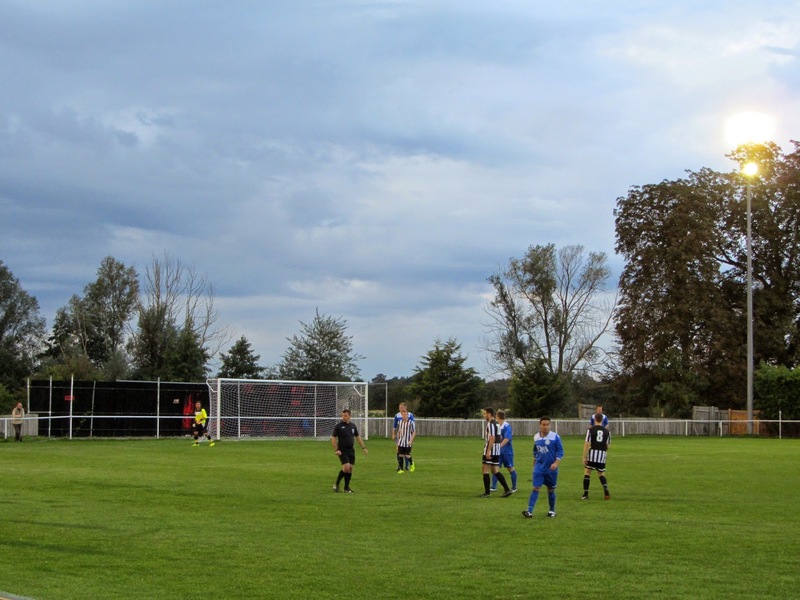 The match was Long Melford vs. Cornard United in Eastern Counties League Division One. Stoneylands lies on the eastern edge of the village and is part of a complex with a few football pitches which backs onto the Suffolk countryside. The nearest railway station is at Sudbury - 3.5 miles south of the ground. There is a covered metal stand on the western side of the ground which contains 106 seats. 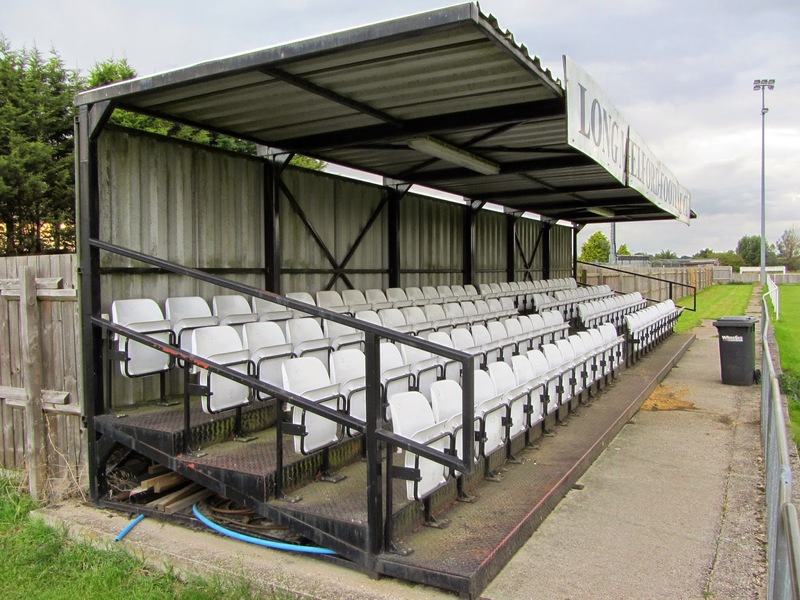 Built in 2002 it enabled promotion into the Eastern Counties League. Adjacent to the stand is the club bar, food outlet and dressing rooms. The remainder of the west side of the ground is uncovered standing though there is a covered section by the bar. The opposite side of the ground contains the dugouts but as space is at a premium there are no viewing areas for spectators. The rest of the ground is uncovered standing though you can see the remnants of a former covered standing area behind the goal at the northern end of the ground. As it no longer has a roof in place it offers no protection from the elements. Cornard nearly took the lead in the 14th minute when a free-kick was tipped onto the bar but after this Long Melford got on top of the game and took the lead on the half-hour mark from the spot. Will Wingfield beat several defenders and drew Cornard goalkeeper William Green into making a mistimed slide tackle which sent Wingfield sprawling. Nathan Rowe took the penalty and shot low into the corner. In the 37th minute the visitors equalised when John Root beat a defender in the box before poking the ball home. The second half was fairly even for a time but towards the end Long Melford ratcheted up the pressure on Cornard and in the 78th minute they made their breakthrough when Glen Harris headed in from a corner. 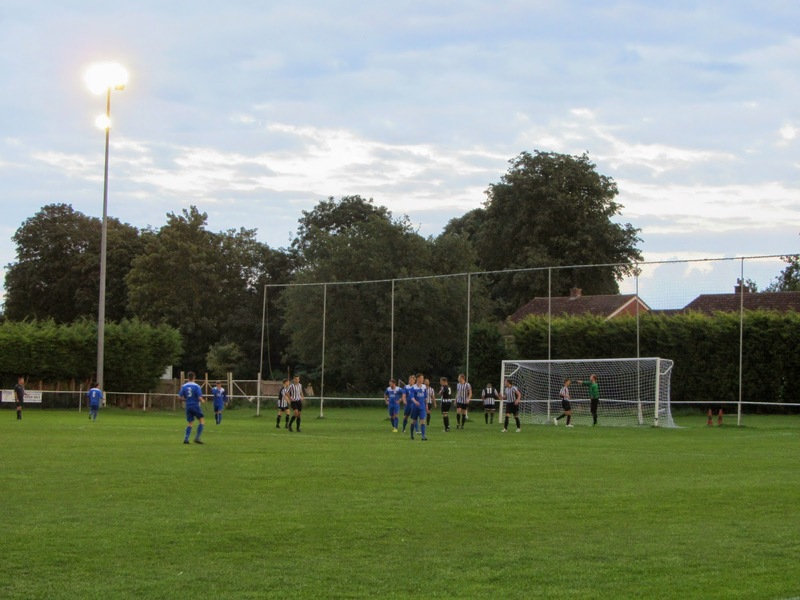 Just a few minutes later the hosts had a third as Jack Durey dispossessed a Cornard defender close to goal and was able to tuck the ball into the net.With only five minutes remaining the game petered out ensuring Long Melford's winning start to the season continued.